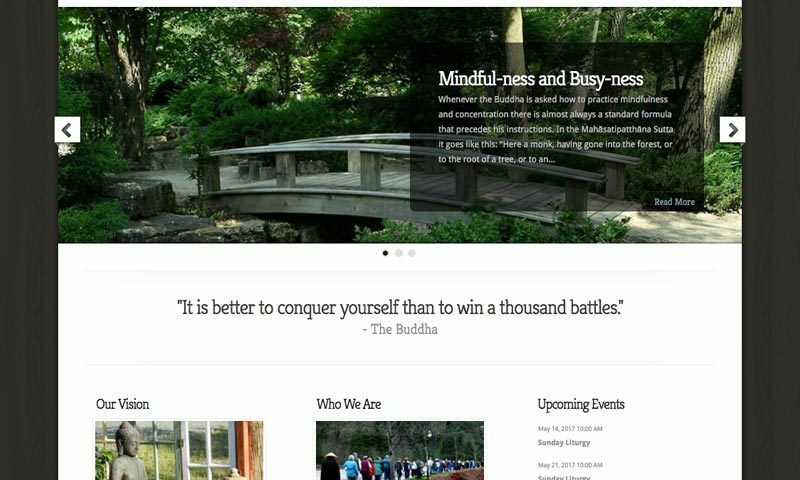 Design and replace the non-profit's existing website with a site that is contemporary yet relaxed, highly organized, and engaging. 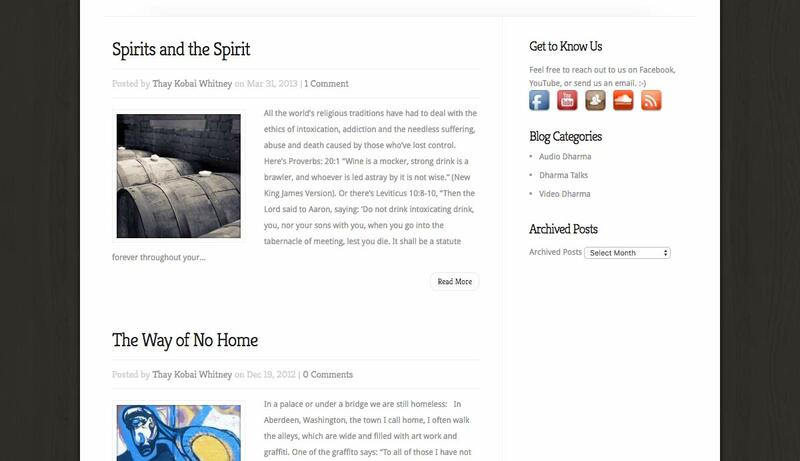 Build a social media presence to educate and expand their reach! 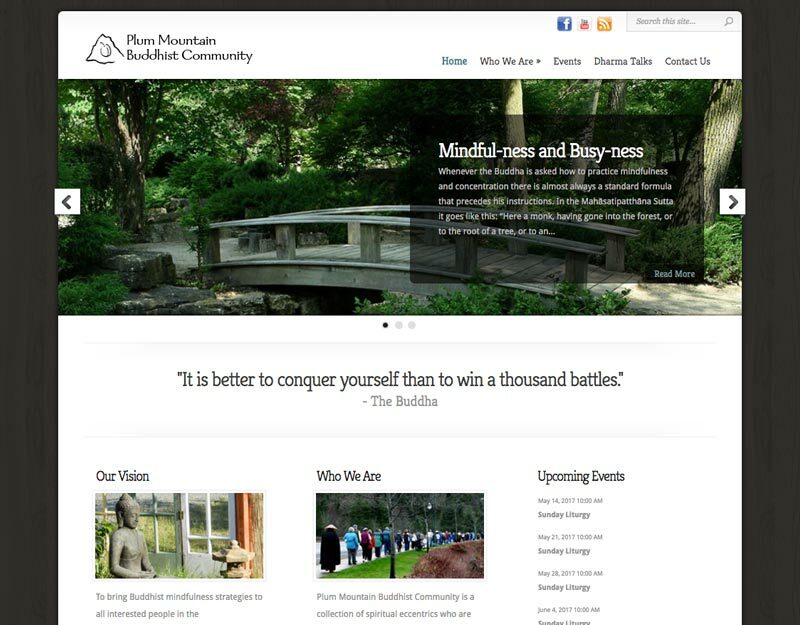 While analyzing Plum Mountain’s existing site to determine an appropriate and strategic design concept it became apparent that organization, clarity, and simplicity would be key elements in a successful new website. 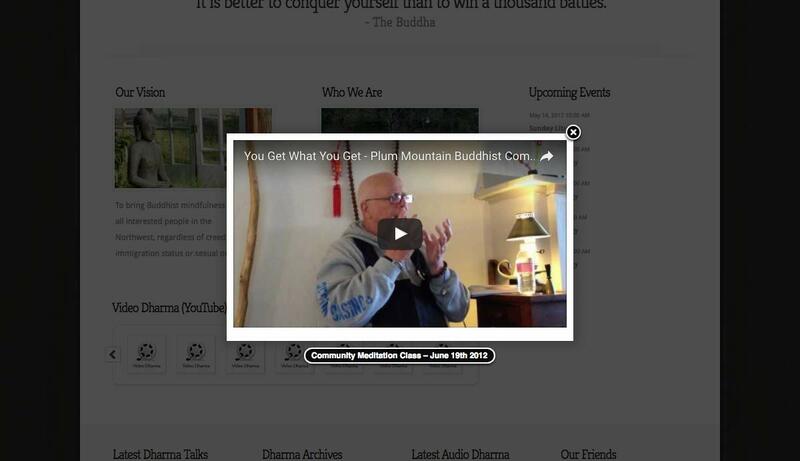 Plum Mountain had a fair amount of content, so to make it user friendly and accessible it was important that we simplified the navigation bar into logical order and utilize lots of white space to make various content sections appear less cluttered and easier to view. 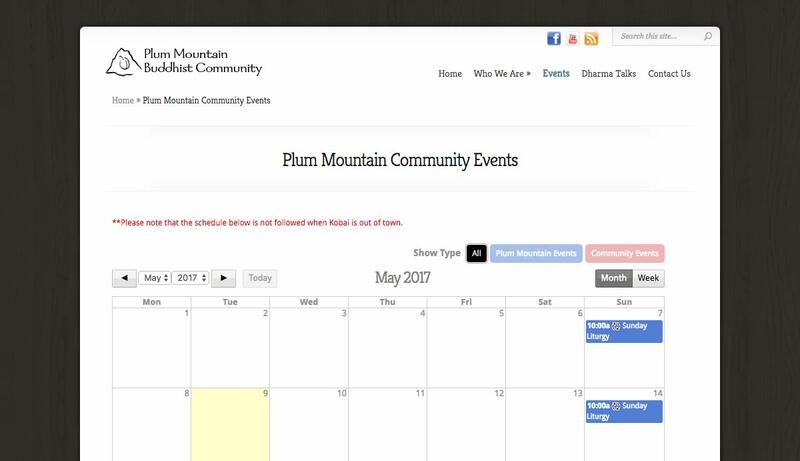 Plum Mountain also needed to integrate multiple other media elements into their project which included: a blog, calendar, YouTube video and SoundCloud audio integration, and an image gallery. 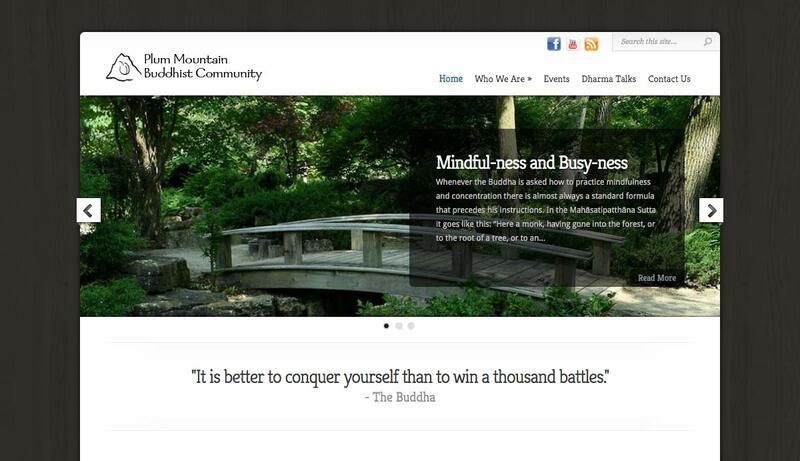 We took on the challenge and designed a beautiful website that has a rustic feel with a splash of modern. 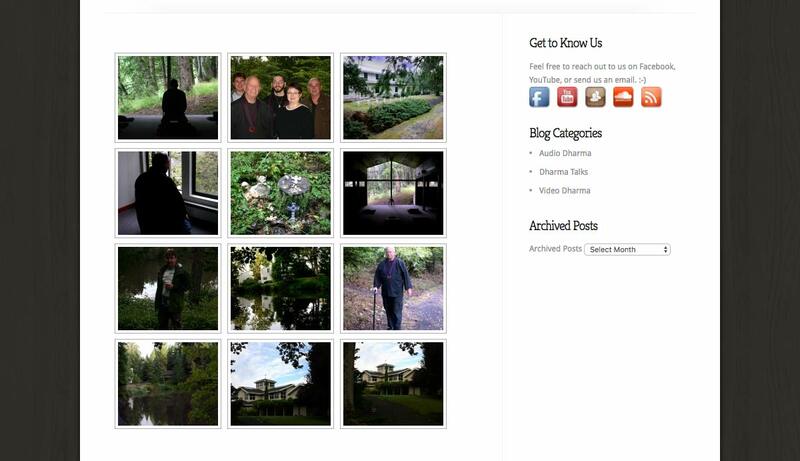 We implemented all of their layout and media needs while managing to keep the site clean and easy to navigate! We are big organization freaks over here, so this project was a lot of fun and the non-profit was happy with the results!